The time has come, the most delicious, mouth-watering doughnut has arrived. Behold- The Biscoff doughnut! 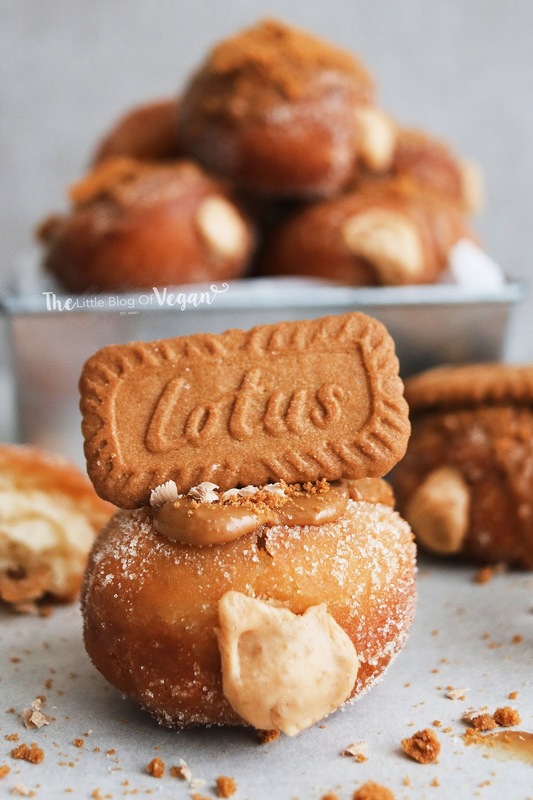 A fluffy vanilla doughnut with a Biscoff custard cream filling topped with melted Biscoff spread, biscuit crumbles, dairy-free white chocolate shavings and a Lotus Biscoff cookie. 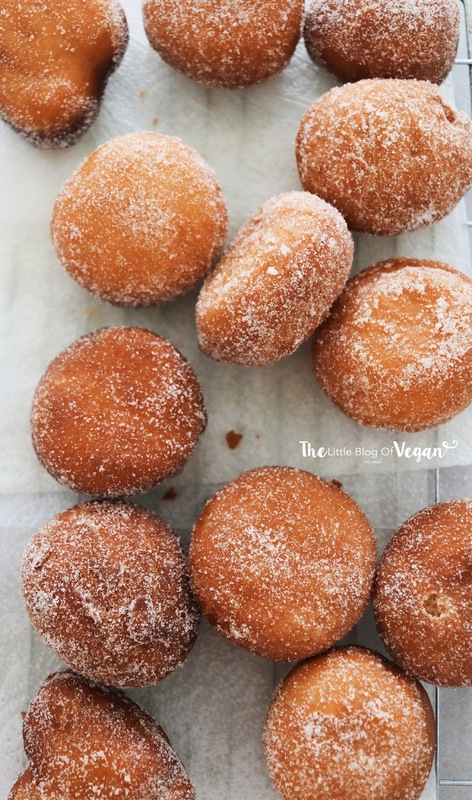 I made these doughnuts for a fellow foodie and friend, Bo's Kitchen...she absolutely loved them! Ps, Bo has one of the most beautiful and delicious looking Instagram feeds of all time! Check it out! You can't just top the doughnuts with Biscoff...they have to be stuffed with Biscoff as well, right? Lets just go all out shall we?! 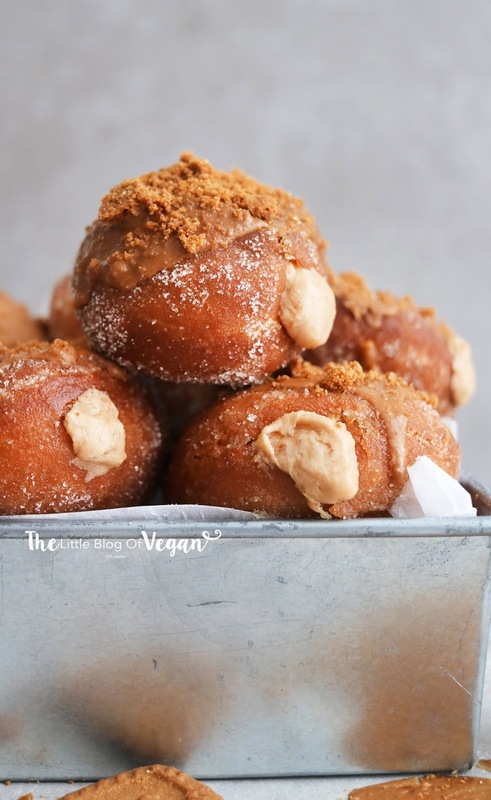 I made a creamy Biscoff custard filling which goes beautifully with the light doughnut shell. 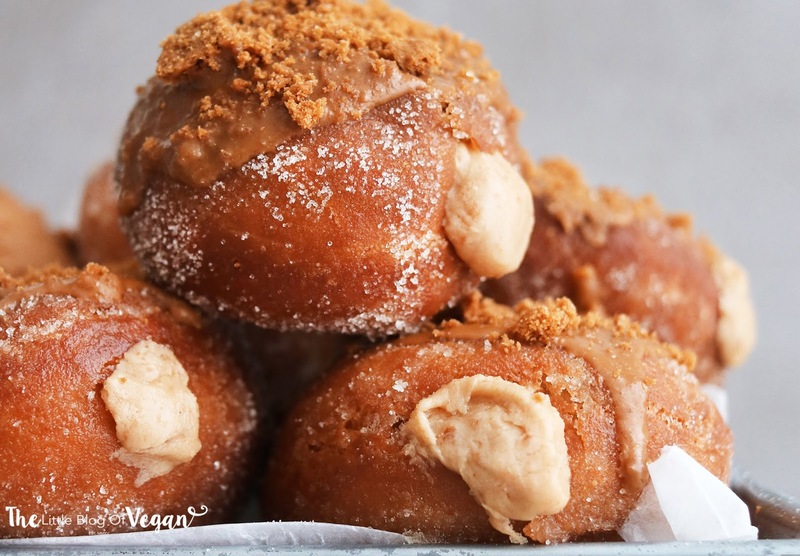 Biscoff is one of those flavours that work well in any dessert, but with doughnuts...it takes it to another level of deliciousness! I used the 'Alpro soya custard' as its quick & easy to use, and mixed with Biscoff makes for the most scrumptious flavoured pudding filling. Step 5- Mix with a hand whisk or attach a dough hook to your stand mixer and begin to knead on medium until nice and smooth. Carefully take them out of the hot oil and place them onto kitchen paper to drain any excess oil. Step 12- While they are still warm, coat them in golden caster sugar (optional). Step 1- Place the dairy-free milk, icing sugar, vegan custard, Biscoff spread and corn starch in a bowl and mix until combined and smooth. To serve, I melted some Biscoff spread and drizzled it over the doughnuts, crumbling over some Lotus Biscoff biscuits too! Looks so delicious! I love biscoff spread! Just giving this a go. How long should step 5 take? I'm using a stand mixer with a dough hook. The mixture has combined but is it quite sticky. Is that how it should be? I tried these last week, and they are amazing!! I ended up having to use more than 600g of flour though because my dough was extraordinarily wet! I used VeganEgg also (my first time using an egg replacer!) and was wondering if you added water to the tbsp of egg replacer powder as the packaging suggests or just used the powder? Such a good recipe though, thank you! !